Welcome to Cumbuco's own commercial weather station which is located right above the beach in front of our apartment hotel building. Many meteorological institutions and agencies read our weather information and incorporate them into their database to create the most accurate forecast. The Cumbuco weather information is updated onto the server every 5 minutes. This is an iOS Today Extension for your device. 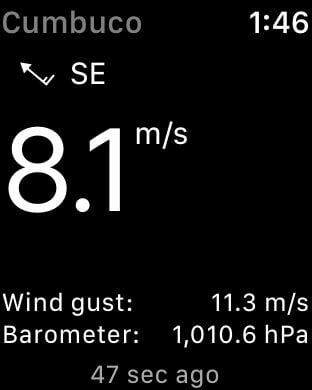 Add it to your list of Today Extensions and you will always be updated about the wind and weather conditions in Cumbuco.